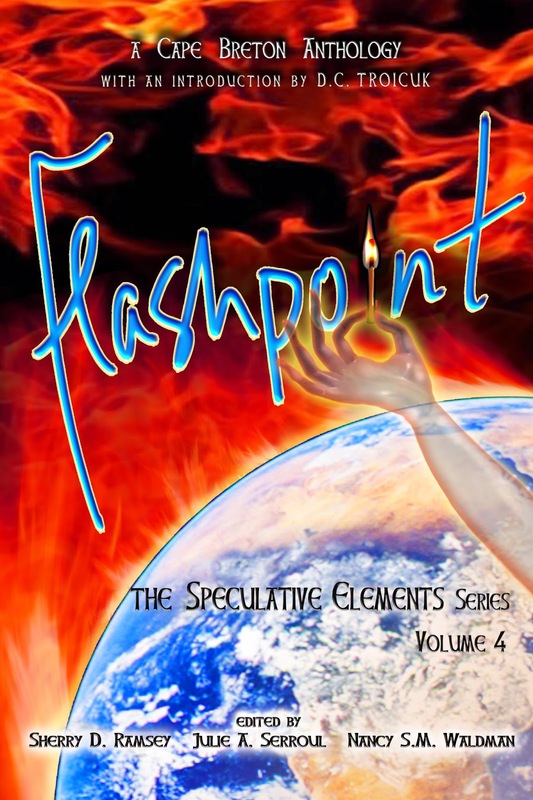 We're set to launch Flashpoint, Volume 4 of the Speculative Elements series, on Friday, December 5, 2014 from 4:00 – 6:00 p.m. at the McConnell Library in Sydney. Flashpoint features short stories by new and well-known Cape Breton writers, and an introduction by writer and past contributor to Third Person Press anthologies, D.C. Troicuk. The public is welcome to come for refreshments, book sales (all Third Person Press titles will be available) and to meet and have their books signed if they wish by the writers in attendance. Patrick M. Charron, Kerry Anne Fudge, and Jenn Tubrett will read from their Flashpoint stories. As well, Sherry D. Ramsey will offer a reading from her latest novel, The Murder Prophet, along with copies of her book for purchase.The CBC's Wendy Bergfeldt and Mainstreet Cape Breton will be on hand to broadcast from the launch. If you have someone on your Christmas list who'd love a book this year, this is a perfect time to get some shopping done! We hope to see you there!